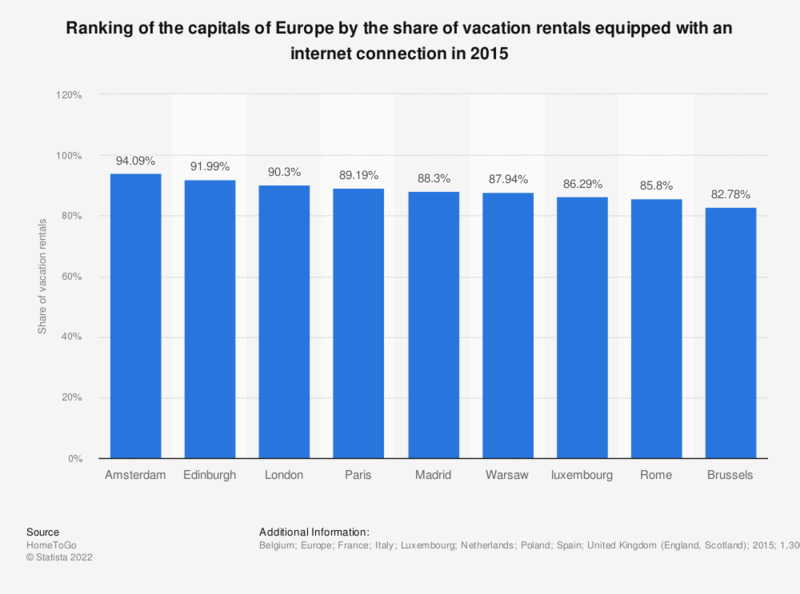 This statistic shows the ranking of European capitals with the largest share of holiday rentals equipped with an internet connection in 2015. With nearly 95% of vacation rentals equipped with an internet connection, Amsterdam came at the top of this ranking this year. Why will you change your primary residence?